When you get to Paulus Orchards, please come into the main parking lot and turn left onto the gravel drive next to the farm store. Follow the drive to the u-pick patch. Have a great time picking! 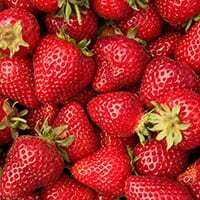 Starting June 1st and continuing through mid June you can pick strawberries. Hours are Monday-Saturday 8:30am-6:30pm, U-Pick berries is Closed Sundays. We have containers for you to use while picking. For every 5 pounds of strawberries you pick we will give you a coupon for $1 off a treat from the Kitchen! 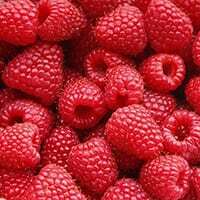 Starting in mid June and continuing through late June or early July, you can pick raspberries. Hours are Monday-Saturday 8:30am-6:30pm, U-Pick berries is Closed Sundays. We have quart boxes for you to use while picking. 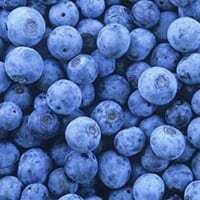 Pick-your-own blueberries is open Monday-Saturday 8:30am-6:30pm, U-Pick berries is Closed Sundays. Picking will be open until August 18th. We have buckets for you to use while picking. After weighing you may transfer the blueberries into your own containers. 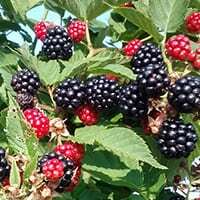 Starting in July and continuing through August you can pick blackberries. Hours are Monday-Saturday 8:30am-6:30pm, U-Pick berries is Closed Sundays. We have quart boxes for you to use while picking. Open every weekend in September & October. Saturdays 9am-6:30pm & Sundays 12pm-5:30pm. Labor Day and Columbus Day are 12pm-5:30pm. We are not open for apple picking on weekdays. Watch “It’s Fresh!” for news on what apples are available. Bring your kids or your grandkids, or grab your neighbors kids — and enjoy an apple right off the tree. It doesn’t get any fresher than that! Pick as many or as few as you like! 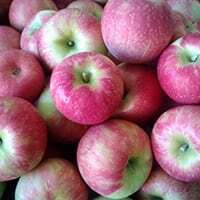 Not every apple variety we grow is available for pick-your-own due to the location of the trees, but the following will be available throughout the season (Please note these are not all available each weekend): Honey Crisp, Gala, Daybreak Fuji, Cortland, Jonathan, Jonagold, Golden Delicious, Crimson Crisp, Mutsu, Empire, Red Delicious, Cameo, Stayman, Fuji, Pink Lady, & Granny Smith. These are listed in a “typical” ripening order so we start with Honey Crisp and end with Granny Smith. Or sign-up for our e-mail newsletter to get availability notices. Open weekends mid September – October. Saturdays 9am-6:30pm & Sundays 12pm-5:30pm. You’ll feel like Charlie Brown in the Great Pumpkin Patch as you wander through the field searching for the absolute perfect pumpkins — then pick them right off the vine. 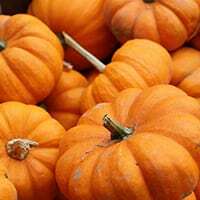 Read more about the kinds of pumpkins that we grow and don’t forget to check the Recipe Box for ways to cook them! There are lots of sizes and varieties to choose from. We provide wagons for your use. The pumpkin patch is a perfect fall photo op, so don’t forget your camera! Prices: $2-15 based on size. Climbing the trees in our orchards or using ladders is prohibited! Please help us keep the farm safe by making sure that your family abides by these few friendly rules!